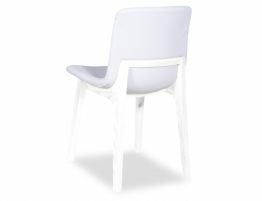 The Ara Natural Solid Ash White Shell Dining Chair offers a bold modern look for your eating space. 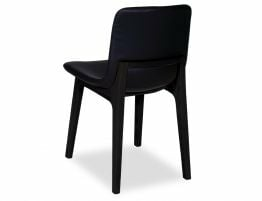 Our contemporary chair offers all of the advantages of an easy to care for and extremely durable form, along with the structural and style benefits of solid wood. 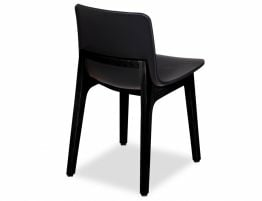 Perfect if you have a busy home, children, or a cafe environment. 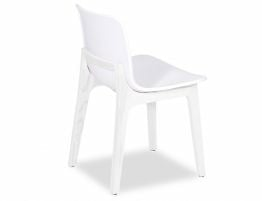 Contoured moulded shell shaped seats make for a pleasant dining experience. 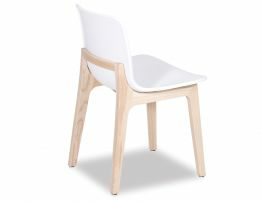 The Ara Natural Solid Ash Dining Chair in white echo the best of modern furniture with a mix of materials and an expertly finished furniture piece.